Welcome to Inner Truth’s Weekly Roundup and Cool New Discoveries! This is the definitive weekly summary of the very best reading, watching, and listening in the field of self-discovery, as well as a download on who has been featured on the Inner Truth podcast this week. Don’t miss out! Sign up to get this in your inbox every week. I can’t quite believe I’ve never heard of this book, written as it was by the same author of the uber-famous Think And Grow Rich. Recommended by a friend at the mastermind I was attending, this is a beautiful little book about fear and faith. Think Conversations With God but more anecdotal and easier to digest. Written in Hill’s classic early 20th century style, the book offers timeless, sage wisdom for those forging their path in the world and battling their fears along the way (i.e. everyone). A deeply enjoyable read that’s easy to pick up and put down. I feel like Tony Robbins is impossibly positive about everything. He’s the antithesis of the cynicism we are so fond of here in the UK. And yet, like so many that listen to him, I can’t help but lean in a little more. The attractor force of that much positivity is too much to shrug off. In this podcast, Brand sits back for a bit and let’s Tony riff about his childhood, his evolution, and what has contributed to his incredible mindset today. Decidedly humble, Robbins says it wasn’t built-in or predetermined. In this ep, he talks a lot about his tactics for facing adversity and how he uses situations to strengthen his mindset. With some fascinating insights from his meetings with Clinton, Gorbachov, and a host of other leaders, this is a podcast littered with quotable stories and anecdotes. Activating Womb Intelligence has been the best-selling course (by far) on the Inner Truth platform and now it’s wonderful author – Therese Jornlin – is offering a 5 week transformational online course that goes even deeper into the path of reconnecting to embodied wisdom. Therese’ expertise and experience in this area is unrivalled so if you’re a women looking for an incredible guide and no doubt a wonderful community too, this is something to jump into.  What Happened This Week At Inner Truth? Returning back to the UK I’ve been busy filling up the blog with over 40,000 words of new writings from January. They will be rolling out slowly over the course of the next few weeks but if you want to jump right in, you can hit the blog up right now. There are new guides on Breathwork, Ayahuasca, Vipassana, Self Discovery adventures, as well as 7-8 week article courses on Achieving Mind Mastery and Transforming Your Fear. For over 20 years, Todd has advised some of the best athletes, entrepreneurs and business leaders in the world on how to get the most out of themselves. The answer? Adopting an alter-ego. Whether it’s Superman, Batman, Wonderman, or any other inspirational avatar, using these imaginary icons at the right time can transform your thoughts, beliefs and behaviours in every area of your life. Now published in his new (and soon to be best-selling) book The Alter-Ego Effect, in this episode we talk all about the science and the psychology of finding your inner superhero and what you can do to bring this tool for transformation alive in your life. You can find it in the usual places on Spotify + iTunes and online here. The task ahead is never greater than the strength within you. Don’t miss out on more tips + advice, sign up below to get this in your inbox every week.